Hoover HF18XK Freestanding Wi-Fi Fridge Freezer – this fridge/freezer features state of the art technology and sleek modern styling, part of Hoover’s range of Wizard Smart Appliances, the fridge can be controlled by tablet or smart phone through the Hoover Wizard App as part of the new range of Wi-Fi enabled domestic appliances from Hoover. It’s not just a technological showcase, it’s highly functional too with an A+ energy efficiency rating. This fridge freezer helps to reduce your energy consumption and environmental footprint, thereby saving money on your electricity bills. This reduced energy consumption is achieved partly through intelligent control of cooling, but also other smart features like the fact that it uses internal LED lighting which lasts 20 times longer and consumes 15 times less energy – all without raising the temperature in the fridge. The HF18XK is also a frost free fridge freezer designed to eliminate the need for defrosting. The Wizard App allows you to stay in touch with your appliance and automatically control it even if you are away from the kitchen. Samsung Family Hub Fridge Freezer – recently unveiled at the Consumer Electronics and Consumer Technology Trade Show in Las Vegas, the Samsung Family Hub Fridge Freezer features three cameras so you can check inside the fridge on the 21.5 inch full HD LCD resolution screen without opening the door, plus you can stream music or films directly from your Samsung TV and even post pictures or messages to the family hub from your phone for others to see. Samsung has teamed up with Mastercard to allow customers to use the refrigerator to do online shopping, manage recipes and even make and share shopping lists! A fridge/freezer that is also a family entertainment hub! LG Smart ThinQ LFX31995ST Refrigerator – this smart fridge/freezer combo from LG has a sleek and modern stainless steel exterior and features the very best of the latest smart technology. The fridge has a total of 10 temperature sensors and uses a dual evaporator with LoDecibel quiet operation, Smart Cooling system and a Smart Diagnosis feature to conserve energy while keeping food at the correct temperature. The fridge can be controlled via the LCD display with SmoothTouch digital controls, or via the LG’s connected, app-driven Smart ThinQ wireless technology. 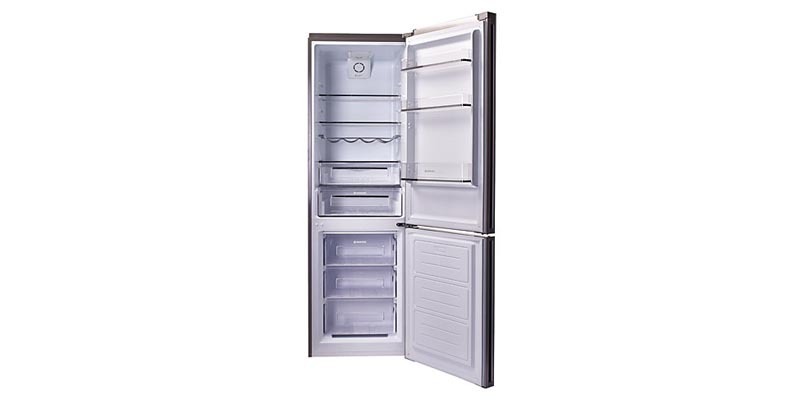 A huge luxury fridge and freezer with all the latest technology to keep costs down and make life more convenient.